Since it has a compact design, the Nemco 55600-2 vegetable chopper helps save space in crowded kitchens. Its large cutting area enables a variety of vegetables to be sliced quickly and efficiently, and its handle offers a comfortable grip and moves smoothly. Users push the handle to move tomatoes or other vegetables into the blades. To keep users safe, guards protect hands from the blades while rubber feet prevent skidding. The cutter disc is made of durable stainless steel, and the slide board is quick-cleaning polyethylene. 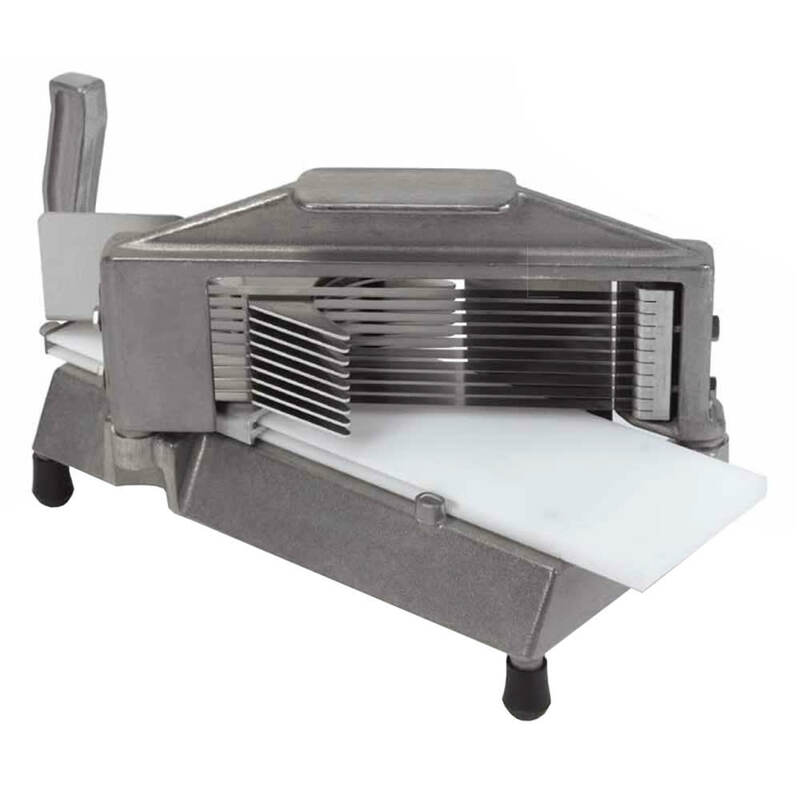 This Nemco 55600-2 tomato slicer has a heavy-duty cast aluminum base that endures repeated use. Not sure this is what you're looking for? 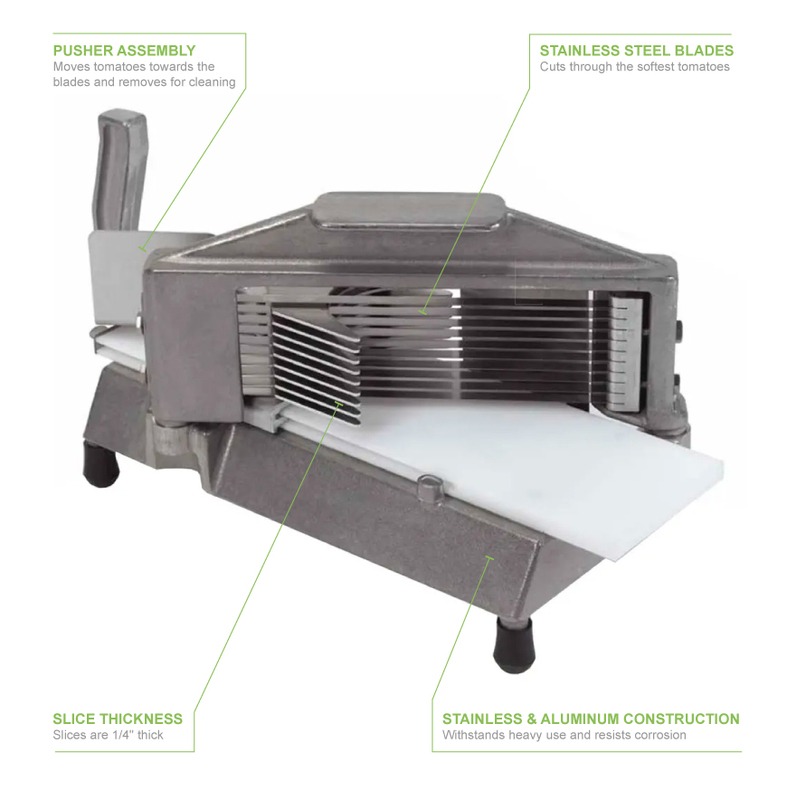 You can learn about the different slicers available with the Nemco slicers guide. Cut Thickness (in) 1/4 in. "Just got the tomato slicer but I've used the same slicer that I borrowed from the church, and decided to buy my own. I buy lots of things online..."
"Just got the tomato slicer but I've used the same slicer that I borrowed from the church, and decided to buy my own. I buy lots of things online but katom was an awesome company to deal with. I ordered on Wednesday and received the slicer on Friday. Good product, good company, win win!"